The Sentinel Project recently completed a study of information and misinformation in the Mandalay region of Myanmar as part of setting up our Peaceful Truth project. This project grew out of our successful Una Hakika initiative in Kenya, which has demonstrated the value of engaging communities to help monitor and counter harmful rumours and misinformation in conflict regions with the goal of stemming further violence and contributing to local stability. The findings of the baseline survey in Mandalay are insightful and will be used to tailor our programming to specific needs within the information environment in Myanmar in general, starting with our flagship project in Mandalay itself. It should be noted that the following statistics reflect the state of Mandalay and environs, not the entirety of Myanmar. 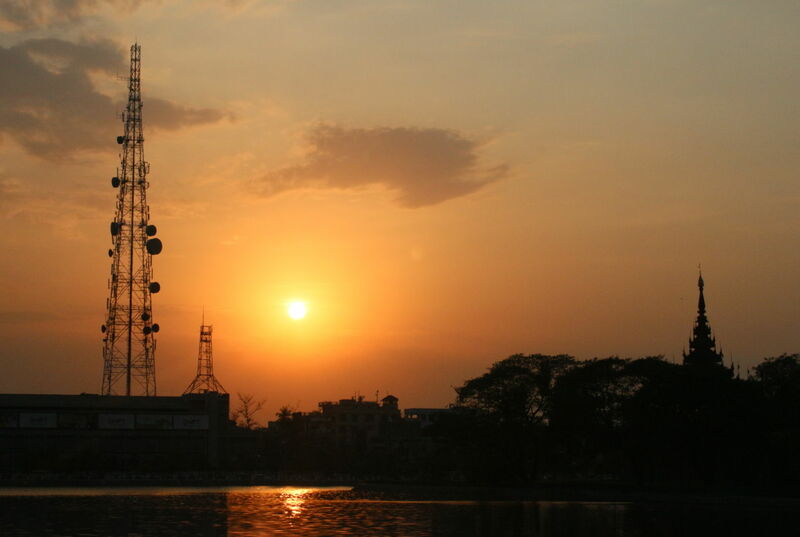 The study found that despite Myanmar’s delayed entry into the world of modern telecommunications (internet was heavily censored until 2012 and in that same year obtaining a SIM card alone could cost $250 USD), Mandalay residents have adapted easily to the rapid development of increased internet availability and mobile communications. In our survey 92.1% of respondents said that they use the internet while 97.3% of respondents owned a mobile phone. The majority of respondents said that their most often-used form of communication is voice calls, followed by social media and SMS (short message service / text message). This is partially the result of Myanmar’s mobile communications development process, in which SMS was initially very expensive relative to the amount of information that could be sent using voice calls. Despite significant decreases in the cost of SMS this effect from the early days has continued along with the belief that voice calls are the most efficient way to communicate information to another person. One of the most telling series of findings relates to information sources, ethnicity, trust, and the role of misinformation in violent incidents. Out of all respondents, 39.9% said that they get information about other ethnic groups from different sources than those for information about their own ethnic group. However, analysis of these different sources shows that when people access information about other ethnic groups they increasingly use sources which are less reliable, less accountable, and include less direct interaction either with members of those other ethnic groups or direct interaction with another person altogether. Where respondents sought information about their own ethnic group there was a diverse range of sources including the internet, news media, family, friends, religious groups, and social or intellectual events but when seeking information about other ethnic groups the study found that the internet, social media, and to a lesser extent news media accounted for the vast majority of sources. Indicative of the larger problem, several respondents stated that their main source of information about other ethnic groups came from libraries and books. Lastly, the issue of trust and misinformation is a complex and multifaceted aspect of conflict in Mandalay. Respondents were four times more likely to say they did not at all trust information coming from members of other ethnic groups in comparison to their own ethnic group. Furthermore, 57.8% of respondents said they had heard a rumour in the past 12 months but only 32% said they had taken action to verify whether or not it was true. Combined with the 31.1% of respondents who said they would share a rumour they heard and 93.1% of respondents who said that they believe misinformation contributes to violence, this indicates that there are insufficient barriers to the proliferation of misinformation. The preliminary findings of this study suggest that there is a disparity in information sources which can contribute to false ethnic perceptions. The results also indicate a fundamental separation of communities which can lead to distrust and facilitate violence if left unaddressed. This situation is compounded by the fact that there is a low threshold for sharing questionable information despite an awareness that such proliferation can contribute to or even cause ongoing violence. Further surveys and research will be conducted over the duration of the Peaceful Truth project in order to compare data and evaluate the impact of misinformation management efforts.